Citizenship at birth is recognized for those who are born in the U.S. Citizenship is also recognized from birth abroad to a U.S. citizen parent under certain circumstances. The U.S. law on this point has changed a number of times over the years. The law that applies is the law that was in effect at the time of the child’s birth abroad. There are specific requirements pertaining to how long the U.S. citizen parent resided in the U.S. prior to the birth of the child abroad. There are also certain requirements when the child was born out of wedlock (illegitimate) to a U.S. citizen father. In certain cases, if the U.S. citizen parent does not meet the residency requirement, it may be possible to count the residency of the grandparent. For example, take our case of children of a U.S. citizen father and a foreign national mother. The children were born in the mother’s country of citizenship where the family was residing. At that time, the residency requirement, was to show that the U.S. citizen father had physically resided in the U.S. for at least five years, was over the age of 14 for at least two of those years, and all five of those years were before the children were born. Well, the U.S. citizen father’s parents divorced when he was 13 years old, and he was residing in a third country, say Canada, with his father, so he did not meet the residency requirements. His mother, however, continued to reside in the U.S. It is allowable to count her residency toward the case to have the children adjudicated to have been U.S. citizens from their birth without going through the process of obtaining lawful permanent residence for them. 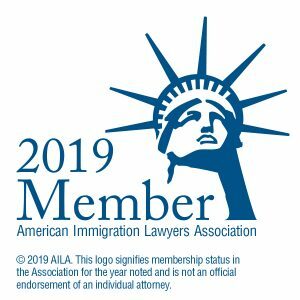 More recently, the Child Citizenship Act of 2000 also provided automatic acquisition of citizenship for a child who was already granted lawful permanent resident status, and whose parent became a U.S. citizen while the child was under 18 years old. Note that in that situation, you should still file an application for a certificate of citizenship to have the official proof that the child is a citizen. Again, each case must be analyzed independently, since the law that applies may be different, and the facts of the case, including the residency of the parent in the U.S., will vary. To qualify to become a naturalized U.S. citizen, you must have been granted lawful permanent residence, and satisfy other requirements as well. In most cases, you must have been a lawful permanent resident for five years, before you are eligible to apply to become a citizen. There are two exceptions. If you were granted asylum, then you can apply for permanent residence a year after becoming an asylee. You can count one year of asylum toward the five years, so you can apply for citizenship four years after becoming a permanent resident. If you obtained lawful permanent residence by marriage to a U.S. citizen, and three years later you are still with the same U.S. citizen spouse, you can apply for citizenship after three years instead of five.